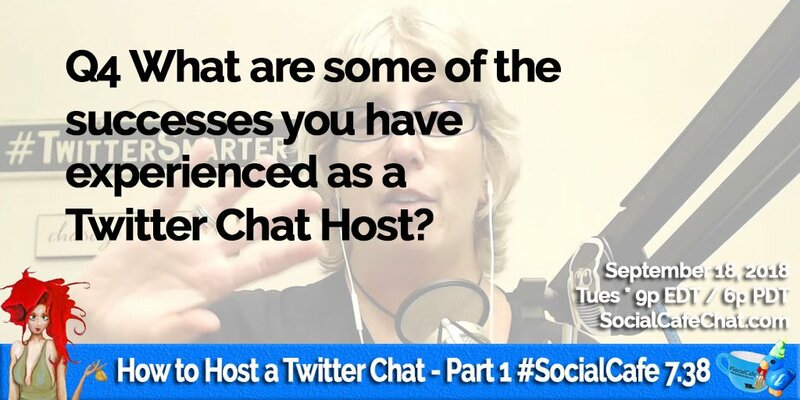 Are you currently a Twitter Chat host? If so, please tell us about your chat or experience. 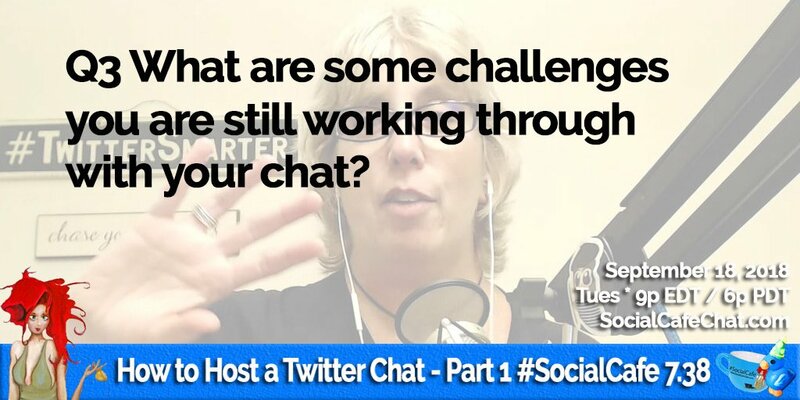 What are some of the challenges you have overcome in being a twitter chat host? What are some challenges you are still working through with your chat? 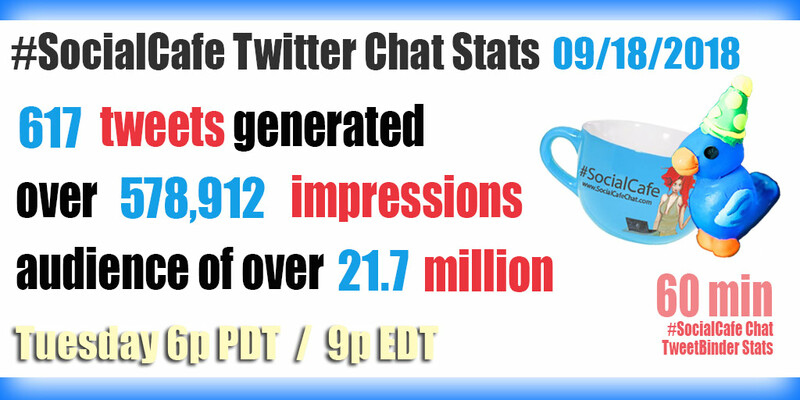 What are some of the successes you have experienced as a Twitter Chat host? 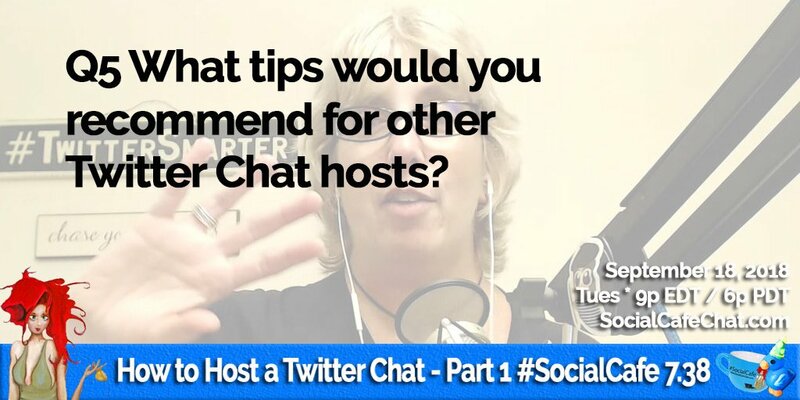 What tips would you recommend for other Twitter Chat hosts? 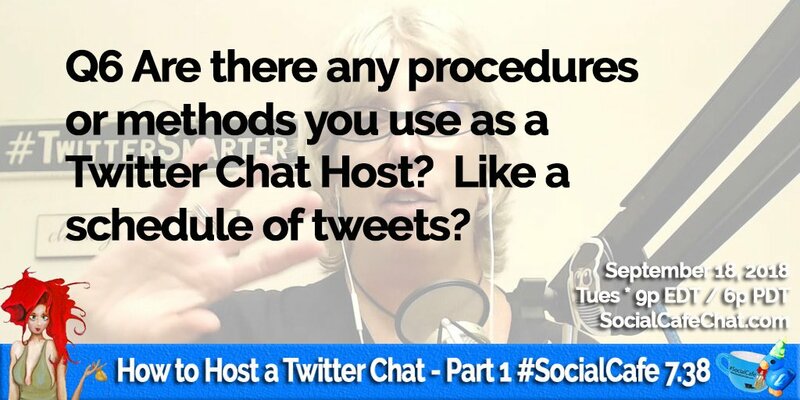 Are there any procedures or methods you use as a Twitter Chat host? Like a schedule of tweets? 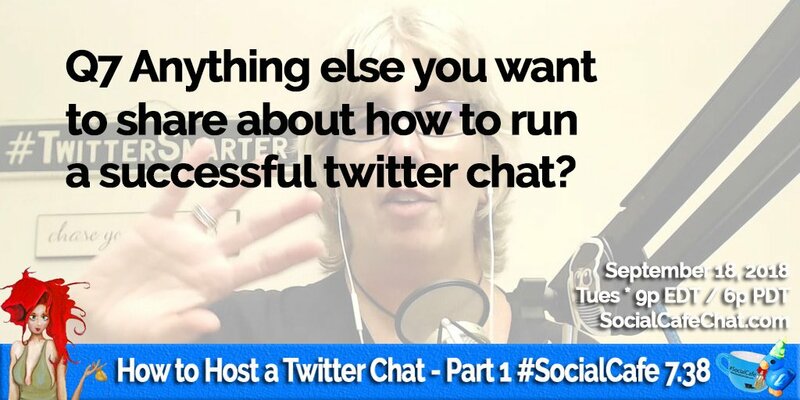 Anything else you want to share about how to run a successful twitter chat? 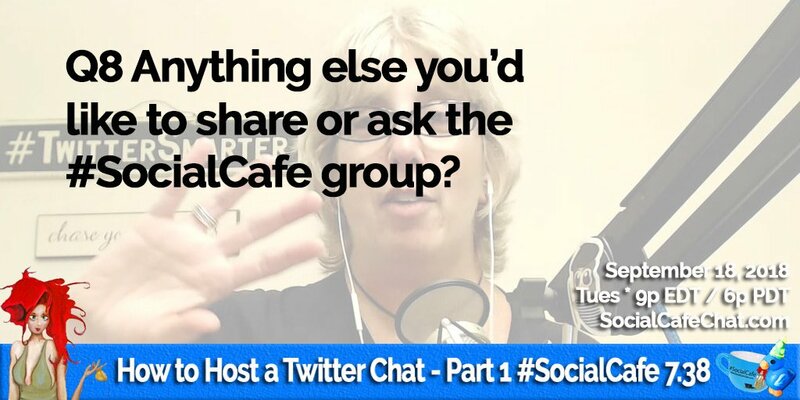 Anything else you’d like to share or ask the #SocialCafe group? 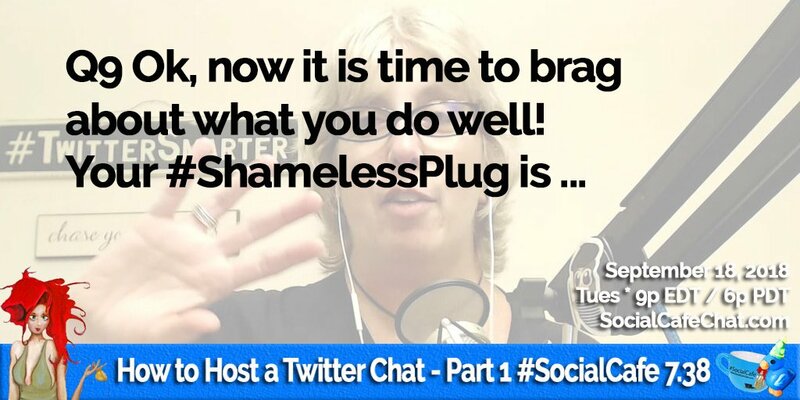 A9 My #ShamelessPlug is join us every Tues at 9p EDT (6p PDT) for #SocialCafe :) I’m working on the downloads so that you have free resources related to the chat. 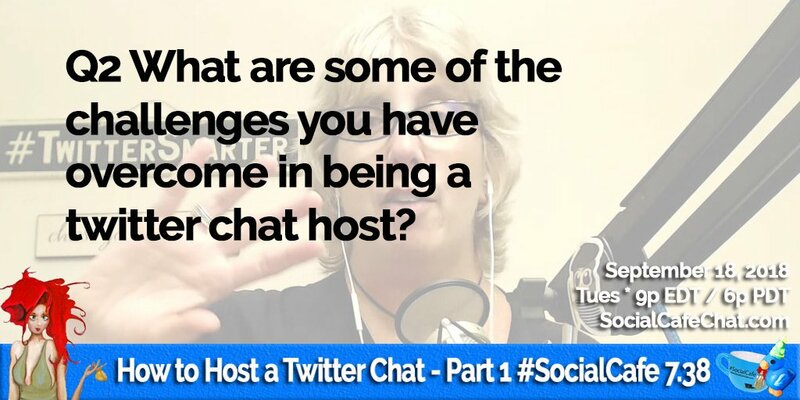 This SocialWebCafe Twitter Event is about How to Host a Twitter Chat - Part 1. Hosting a Twitter Chat isn't always as easy as it seems. Oh, sure, there are some who are naturals but there are also some for whom it doesn't click. Hey, we all have different gifts, right? 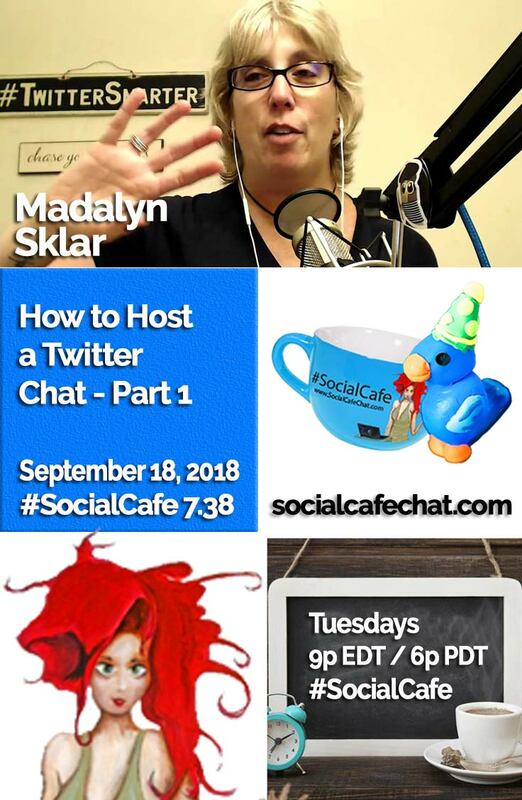 For me, Madalyn Sklar got me going with the weekly #gghcat and I even helped her host it at times, along with my creation of #ShamelessPlug (thank you, Madalyn, for the credit) and guess what?! The creation of #SocialCafe back in 2012! 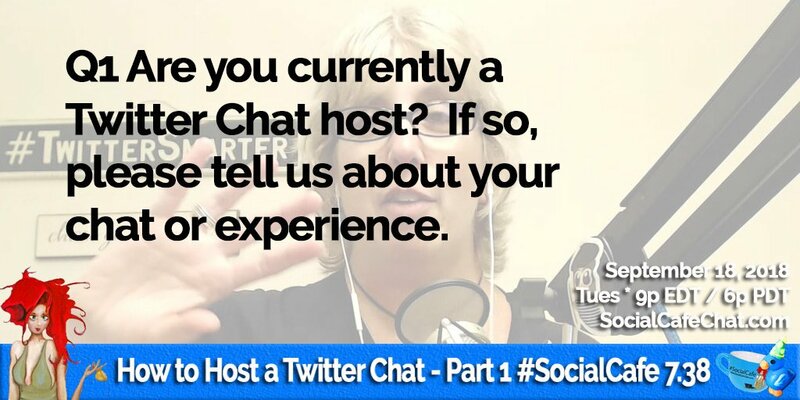 So, without further adieu, let's chat about what is involved in becoming a Twitter Chat host, shall we?